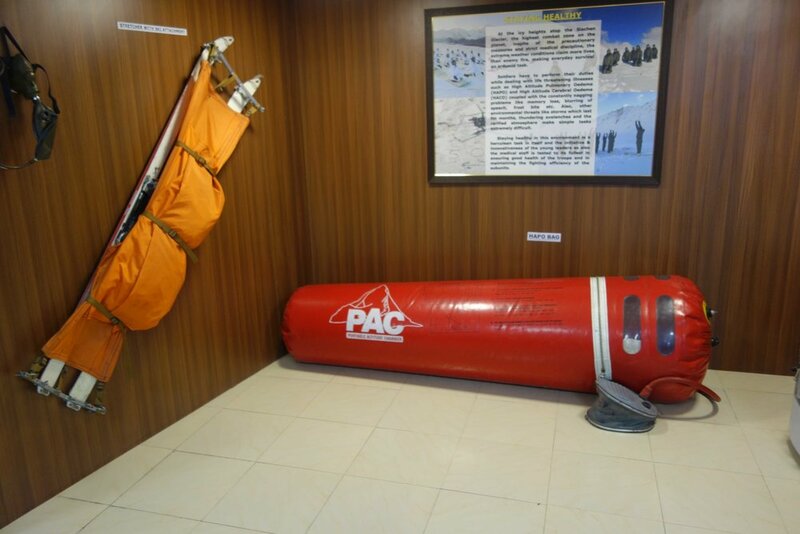 The Hall of Fame Museum near Leh in Ladakh has a section dedicated to the Equipment used by High Altitude Mountaineers generally and the Indian Army specifically while guarding the high frontiers in the Himalayas and the Karakorams. We have a look at some of the great Gear on display. 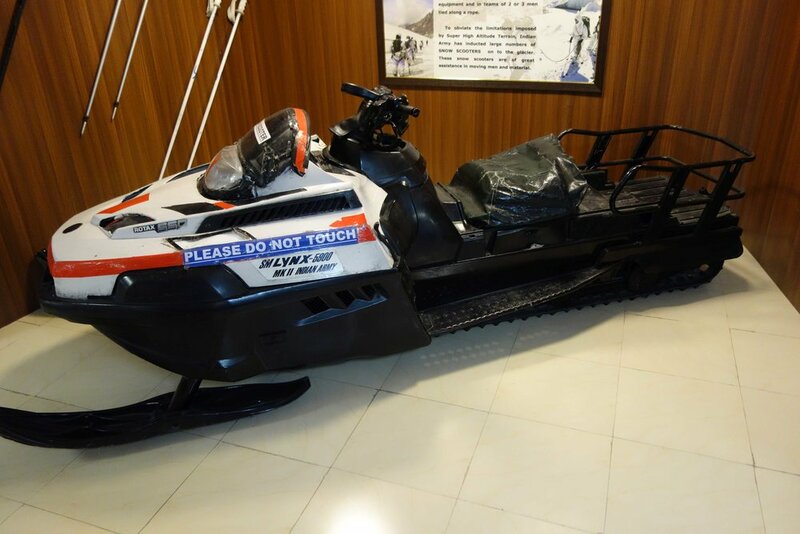 The same Equipment is sued by the Indian Army deployed at the frozen heights of the Siachen Glacier in Northern Ladakh. A high end Dome tent for two people. Palletised loads. These are air dropped to various locations at places where access is difficult. A low temperature high Altitude all Weather suit. along with different climbing aids displayed on the Wall.